Our light truck category comprises of our N series range, Australia’s number one light truck for over 27 years*, boasting a line that covers a standard drivers licence category of 4,500kg GVM all the way up to the 140kW (190PS) 8,700kg GVM NQR450. It also includes a mix of fully complete ready-to-work trucks including Traypacks, Tradepacks and Tippers. In terms of comfort and safety, the list is far from light. 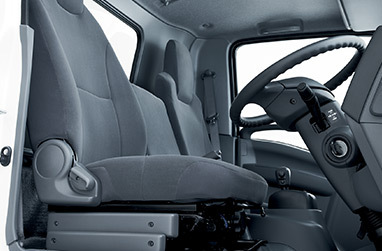 Access is made easy with deep non-slip steps and wide doors opening to 90º, and once inside you’ve got a contoured adjustable driver’s bucket seat. And for when you’re up and moving, selected N Series models now come standard with Isuzu’s Electronic Stability Control (IESC). ABS brakes, ASR (Anti-skid regulator), ABS disc brakes* and traction control are all complimented by a set of cornering lamps. 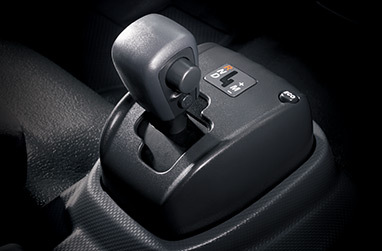 Plus, all models comply with the latest ECE-R29 standard, and come with double side-intrusion bars, seatbelt pre-tensioners and load-limiters, with driver & passenger airbags all standard. With our light truck range carrying some of the most impressive tech in the industry, a solid truck doesn’t just stop at nuts and bolts. 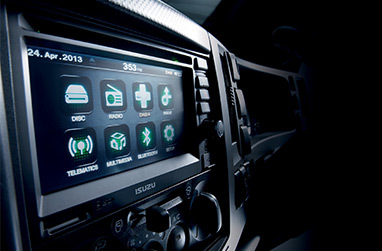 Every light series model is fitted with our DAVE media system, which comes with digital radio, DVD, MP3, voice-control and Bluetooth connectivity, as well as the game-changing Isuzu ‘Connect’ Telematics system*. Multi-vision camera systems are available, and of course, remote keyless entry. * Optional 3 year renewable subscription service at additional cost. Perhaps most importantly, each and every lsuzu light truck comes equipped with either Isuzu’s 3.0 litre 4HK1 or 5.2 litre 4JJ1 diesel engines. Selected N Series models also feature (standard on NPR models) Automated Manual Transmission (AMT), footrest, auto/climate control air conditioning, as well as a chrome grille and badging and a set of fog lamps. There’s an Isuzu in our light truck range that's sure to share your load.